HKK Chain is headquartered in Pine Brook, New Jersey and was founded in 1916. HKK manufactures a high quality roller chain at very competitive pricing. HKK uses its one manufacturing facility to produce and distribute its chain to thousands of customers worldwide. 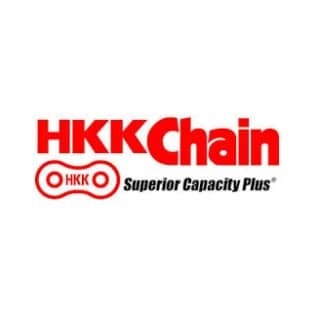 From single and double pitch to heavy, super and nickel-plated roller chain, HKK is capable of meeting any customers roller chain demands and requirements. Dalton Bearing Service, Inc. can answer any of your questions regarding HKK Chain products. Feel free to contact us with any inquires.